The fight against poverty has long been a passion project for me. It is all too prevalent in the UK as it is across Europe. According to the Office of National Statistics, 7.3% of the UK population are classified as experiencing persistent poverty. In 2015, the European Parliament statistical office estimated that 17.3% of the EU population were at risk of poverty. I believe that the best way to help anyone living in poverty is to give them a hand up not a handout. There are many people doing good work to combat poverty whose achievements are not celebrated and whose practice is not well shared. I decided to bring many of them together in London with the aim of building a network that shares ideas so that the most effective methods of tackling poverty can be put into practice. The entire conference was based on sharing and learning from the practical examples of people with real everyday experiences in their communities around the globe. 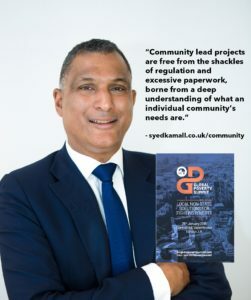 …….. to continue reading please click this link here for the ECR Syed Kamall Global Poverty Summit Report.